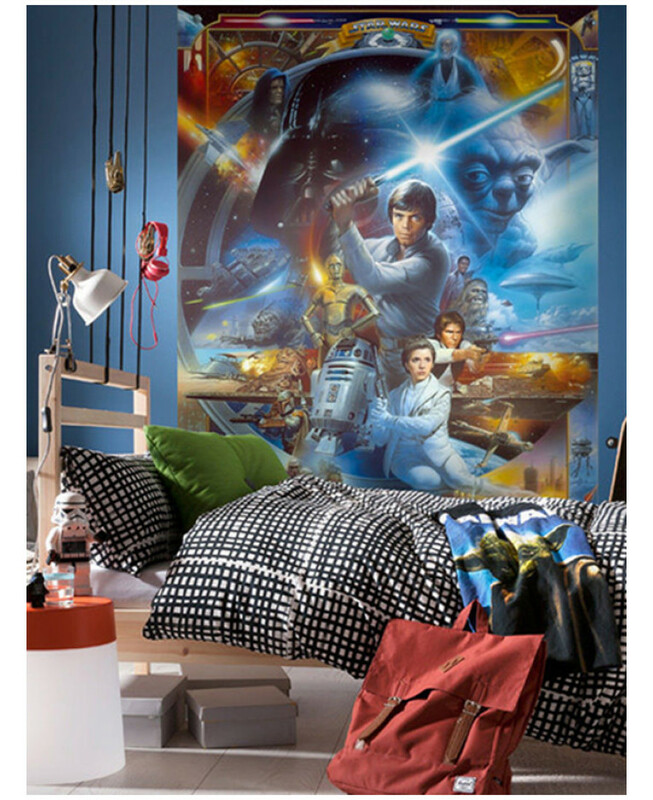 Create an instant feature in any room with this awesome Star Wars Wall Mural! 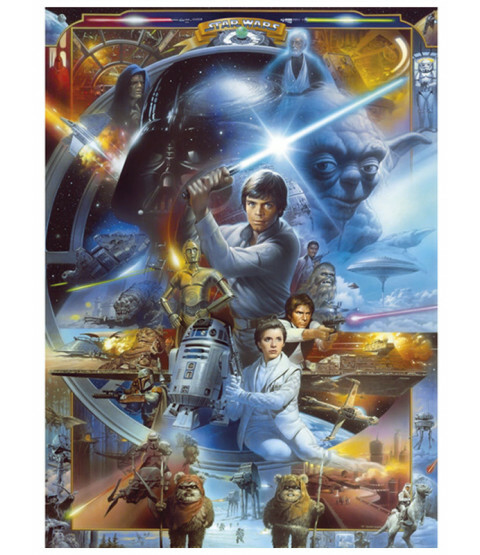 The colourful mural is printed using fade free, UV-stabilised ink onto high quality paper to ensure a fantastic finish. 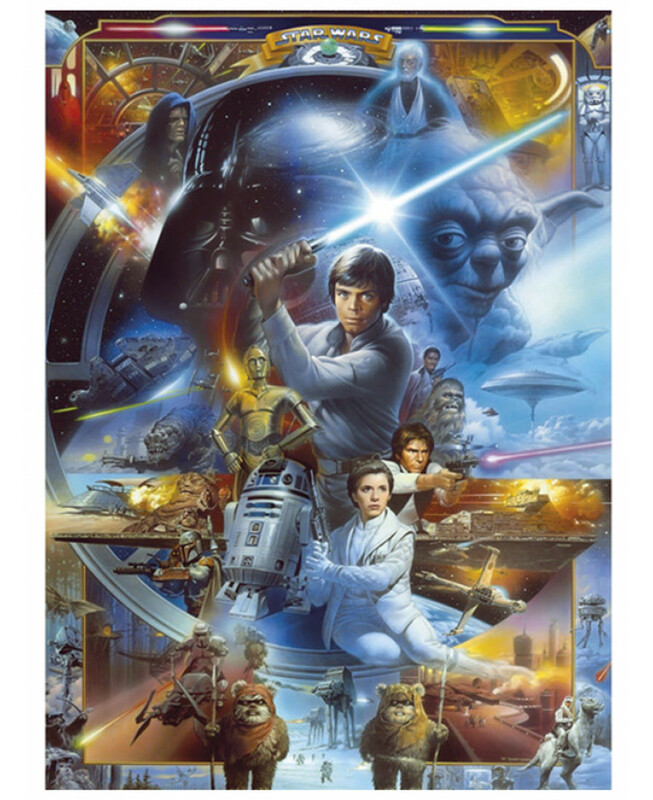 The unique mural is a retro style montage of all the characters from the original films including Luke Skywalker, Darth Vader, Yoda, Chewbacca and Princess Leia. For best results, treat the mural as conventional wallpaper and follow the simple instructions included.